There is a giant Michelle Phan billboard ad facing the office building where I work. I happen upon this billboard day in and day out. The ad displays Phan in two halves, one with her usual brunette styling, and the other with lavender hair and accompanying makeup.  The slogan, “You help us make up who we want to be,” is splashed across the billboard. Maybe you’re reading this and have no idea who Michelle Phan is; if so, you’re not alone. After all, Phan is pretty much only famous on the Internet. YouTube fanatics like myself—just one of her six million subscribers—are familiar with Phan’s YouTube presence and her colorful makeup tutorials, but Google’s video platform has propelled the humble makeup “guru” to international stardom. Phan is getting ready to release her own “em” cosmetic brand and she’s partnered with beauty powerhouse Lancôme as the company’s official online beauty ambassador. YouTube celebs like Phan are trying to go mainstream, but they don’t have the same star power as the tabloid celebrities from mainstream media like movies and television. YouTube wants to change all that, and a big part of its plan involves Google Preferred, a new advertising platform introduced in late April that allows brands to pre-roll their ads in the top 5% of YouTube channels in areas like food, music and entertainment. 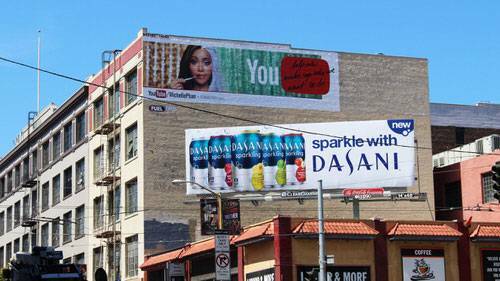 With Google Preferred, YouTube hopes it can attract big advertisers—and that’s why you might see more physical billboards with YouTube stars like Phan. Google wants everyone to know YouTube can play with the biggest players in multimedia, and visibility is part of that game. For starters, YouTube is launching new ad campaigns focusing on three specific YouTube personalities—Phan, fashion and beauty vlogger Bethany Mota, and chef vlogger Rosanna Pansito. Google Preferred is YouTube’s attempt to “lean into” its top channels. YouTube is just starting with the three aforementioned content creators focusing on fashion, beauty, and cooking, but the company will eventually expand to other verticals as the year progresses. These new campaigns are designed to legitimize these niche celebrities in the mainstream media, but they have similar benefits for YouTube, which also wants to solidify itself as more than just an Internet brand. Like Phan’s deal with Lancôme and Dr. Pepper, Mota and Pansito have also previously teamed up with ad partners like Aeropostale and The Muppets. Popular YouTube stars are already mirroring today’s mainstream celebrities with their own agents, studios, advertising deals, and of course, throngs of fans. YouTube chose Phan, Mota and Pansito for its new phase of personality-specific advertising because of their experience in partnering with big companies. That’s why you might see more YouTube ads popping up on billboards, or cable channels like The CW and ABC Family, or magazines like Allure, Seventeen, and Entertainment Weekly. Companies are aware of YouTube’s influence in the digital age. Disney recently bought Maker Studios, a multi-channel network founded in 2009 by YouTube celebrities that sought to create viral videos by signing popular YouTube personalities under its own label. The move demonstrated Disney’s confidence in YouTube and its ability to churn out stars: Just take a look at Justin Bieber’s humble roots, or YouTube-celeb-turned-Nickelodeon-star Lucas Cruikshank, both of whom have cultivated mainstream fame from their initial YouTube performances. Dozens of others that got started on YouTube are now traversing into more “old school” mediums like TV, film, and radio, and YouTube is hoping to do the same with Phan, Mota, Pansito and others. Traditional media companies are increasingly trying to integrate with “the future of media.” Every magazine and tabloid now has a Twitter handle and/or an Instagram account; TV channels have their own YouTube channels and Facebook pages. The old media companies can’t survive without trying to pander to more tech-savvy audiences, and YouTube hopes this trend will only continue. With the Google Preferred ad platform, YouTube can compel brands to extend their advertising efforts two-fold, both online and in the physical world. It’s a smart move for YouTube and its users, which all seek real-world validation for their digital efforts.